Take Our Elevator Home This Holiday Season! Relax and enjoy your festive celebration without the stress of planning your trip home. Make our home your home by taking advantage of the special December Festive Room Rates. Guestroom rates are subject to availability and cannot be combined with other special offers. *All room rates are subject to applicable taxes and fees. Note: Exclusive guest room rates are also available for private and corporate events. Please contact our reservations department for more information. 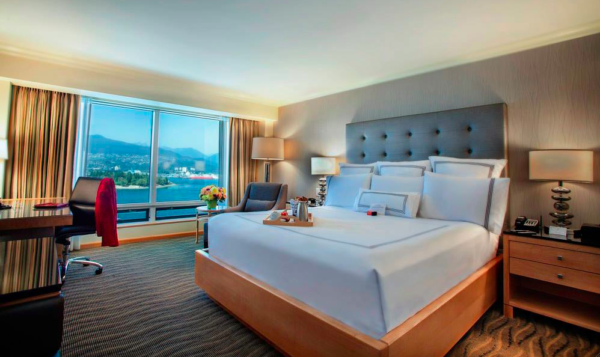 Contact reservations at 604.662.3223, email reservations@panpacificvancouver.com, Tweet or Facebook message us! 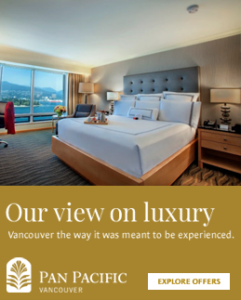 Connect with us on Facebook, Twitter and Instagram to stay in the loop with everything going on at the Hotel and around Vancouver!